Quarter the figs. Heat oil in frying pan and fry figs for approx. 10 min., or until caramelized. Toast the bread slices and spread with butter and mustard. Wash the arugula and dry. 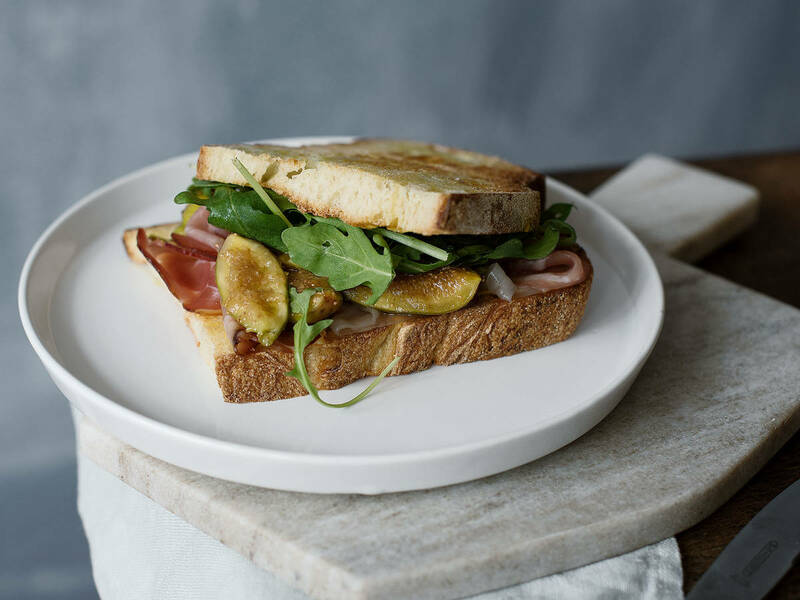 Prepare the bread with layered arugula, ham, and warm, caramelized figs. Enjoy!